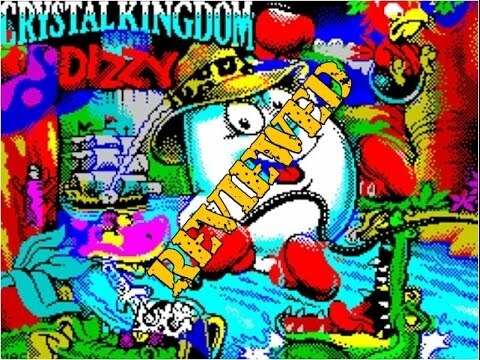 Going by the Facebook page for CKD, it has a rewritten 50fps engine, "Amiga inspired" graphics, a wonderful loading screen, 136 reworked levels and "uncut scenery" from the Amiga. Sounds lovely, so far. The one and only downside for all this loveliness is the minimal 128K memory, in part due to the AY sounds & music. It's obvious when looking at (and playing) this new incarnation of Dizzy that Spectrum's real abilities just weren't being fully utilized back in the day. Although no hardware has been changed, no extra memory used, no new sound-chips; just the bog-standard trustworthy Speccy and all it's heart. It's worth a mention, there was a remake in 2015 as well by a very different bunch of folks; yolk-folk, you might say. Ah-harrr! Alas, I have not tested the '15 version but welcome any input from others out there who may well have. Please see the below link for download. A review by Rich Morrish of the Retro Revival Show. And another quick look-in by Bazza H.